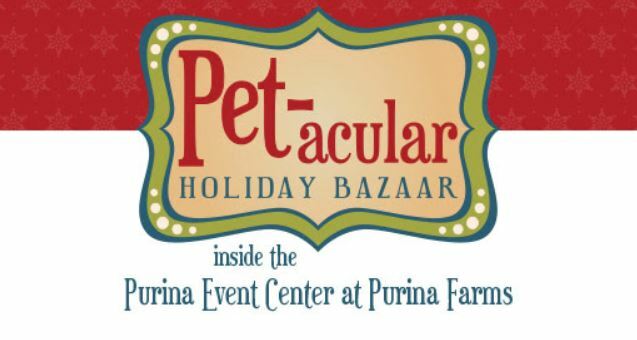 Get into the holiday spirit during the Purina Farms Pet-acular Holiday Bazaar inside the Purina Event Center at Purina Farms December 15th and 16th. $5 Kids Activity Area for ages 2-12 featuring trackless train, balloon animals, face painting, crafts, inflatables and more! Receive one free admission to the Kids Activity Area OR a free paw print ornament when you donate a pet supply* or new, unwrapped toy for ages 12 and under. December 15 & 16 | 10 a.m. – 3 p.m. Admission and parking are FREE! No reservations necessary! Purina Farms is also hosting a Breakfast & Craft Workshop with Santa before the event. Go HERE to purchase your tickets before they sell out. View the St. Louis Holiday Lights and Activities list and Top 10 Breakfast with Santa St. Louis stops for more holiday ideas.